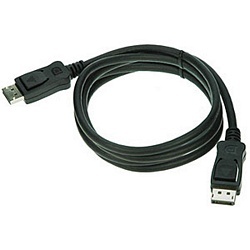 DisplayPort is an open-standards high-definition digital audio/video transmission interconnect for use with computers. The current specifications support a maximum of 8.64 Gbps data rate over a typical cable. DisplayPort is supported by Dell, HP, Apple, AMD/ATI, Philips and more.